The Nebraska Agricultural Water Management Network (NAWMN) project is designed to enable technology implementation in production fields to enhance agricultural water and crop production efficiency. The Network brings together groweres, UNL Extension, NRDs, NRCS, and crop consultants, and other interested partners to work on adoption of water and energy conservation practices. The Network functions are based on scientific research conducted by Dr. Suat Irmak in different locations for different cropping systems. 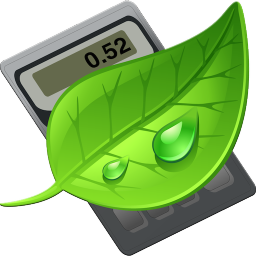 Log on or create an account to use our Online ETgage Tool for quick recording of and access to weekly ET (crop water use) readings. The Nebraska Ag Water Management Network (NAWMN, Irmak (2005)) project is designed for encouraging the adoption of newer technologies that will enable farmers to use water and energy resources associated with irrigated crop production efficiently. A full list of NAWMN Project contacts in Nebraska Extension as well as NAWMN Project partner contacts. The CropWater App is one of the earliest irrigation management apps developed many years ago and its functions are based on the research conducted by Dr. Suat Irmak. It is a product of our efforts in the NAWMN to enhance technology implementation in agricultural production. 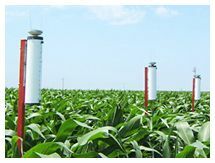 Describes the atmometer (evapotranspiration gauge) and explains how it can be used for irrigation scheduling. Examples are provided to show how information collected with an atmometer can be used to estimate crop water use for corn and soybean.